We are delighted to share that Magna has been shortlisted for the RIBA East 2018 regional awards! Magna is a scheme in Cambridge for Hill Group UK designed by BPTW from planning through to delivery. 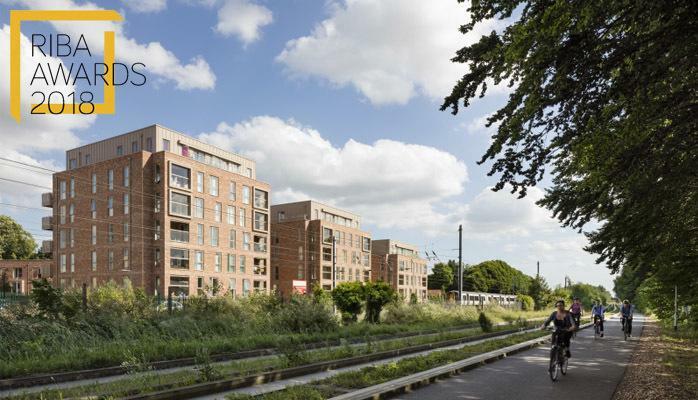 We have provided 95 new residential dwellings on a significant point along the railway line in a mix of high quality apartments and luxury family houses arranged around attractive landscaped gardens. BPTW worked closely with Cambridge Council’s planning department to develop a high quality design that reflects the surrounding context of the site. The buildings’ exteriors were designed as a consistent envelope with a minimal palette of materials, not differentiating between the varying tenures. 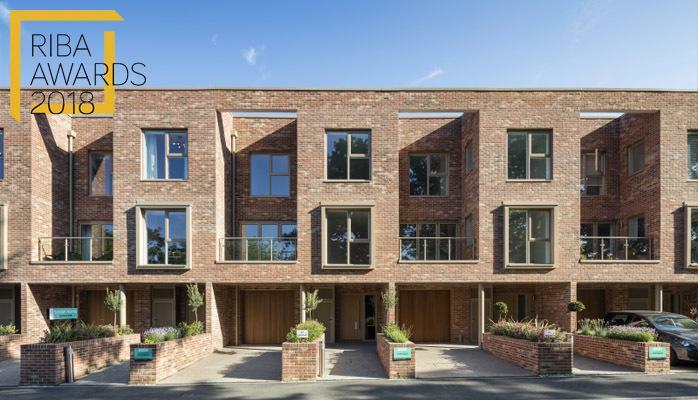 The selection of a red brick with chalk mortar echoes the aesthetic of nearby Homerton College resulting in a scheme that celebrates the historic value of its location with both respect and imagination. This follows the celebrations earlier this week with Magna receiving a commendation award in the New Neighbourhoods category at the Cambridge Design and Construction Awards.